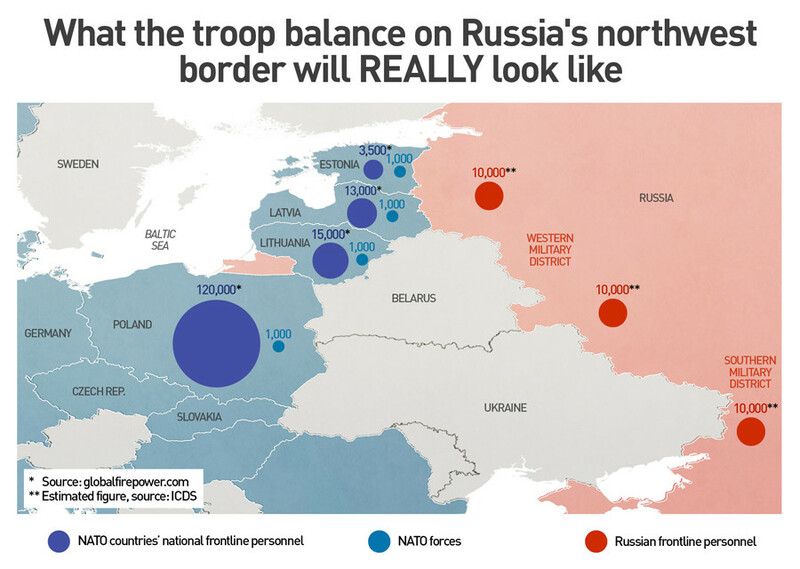 What the troop balance on Russia's northwest border will REALLY look like. This Bloomberg graphic is being extensively shared on social media by NATO-supporting journalists and writers working for American state media. It purports to show that Russia is being "aggressive" by proposing new battalion numbers along its western borders. If the information is accurate, it will mean a total of around 30,000 troops split into three divisions. 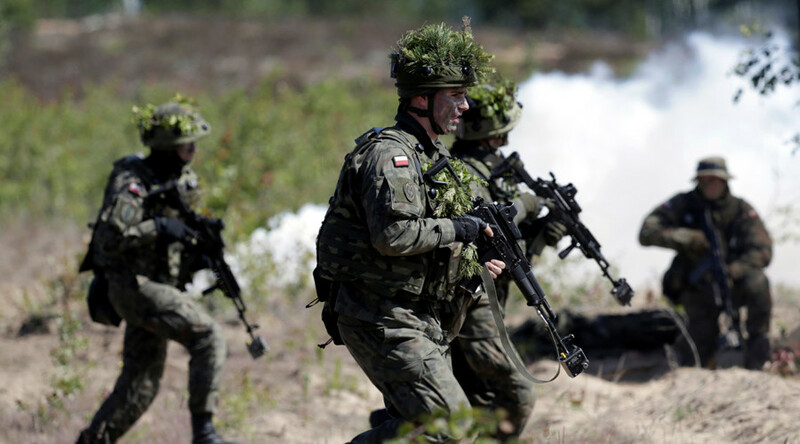 At the same time, NATO wants to send 4,000 soldiers, mostly American and British, to the Baltic States and Poland. This graph is being used as a propaganda tool to make it appear that 4,000 'defensive' NATO personnel are facing off against 30,000 "aggressive" Russians. 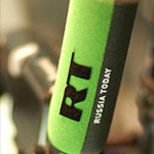 For starters, the Russian units will be stationed exclusively in Russian sovereign territory. The concept of a country keeping armed forces on its own soil is hardly revolutionary. By contrast, these American and British servicemen and women will be very far away from home. Also, the figures are completely misrepresented. As the image below shows, it is Russia which is outnumbered. And vastly so. It seems NATO's fans in western media are "weaponizing information" to deliver misleading messaging in their "hybrid war" against Russia. "The menace of unreality" indeed.